Make Your Workshop ROCK! Tips & Tools | Make Your Workshop ROCK! 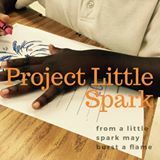 Use the following printable tools as you work your way through Make Your Workshop ROCK! Step 1. Collaboratively develop your vision. 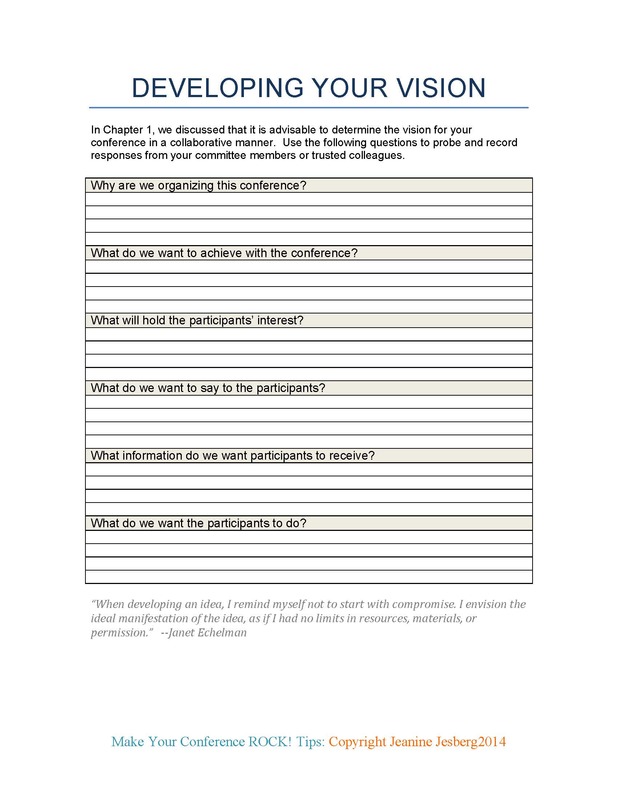 Download the Develop Your Vision worksheet now. Step 2. Take your first action steps. 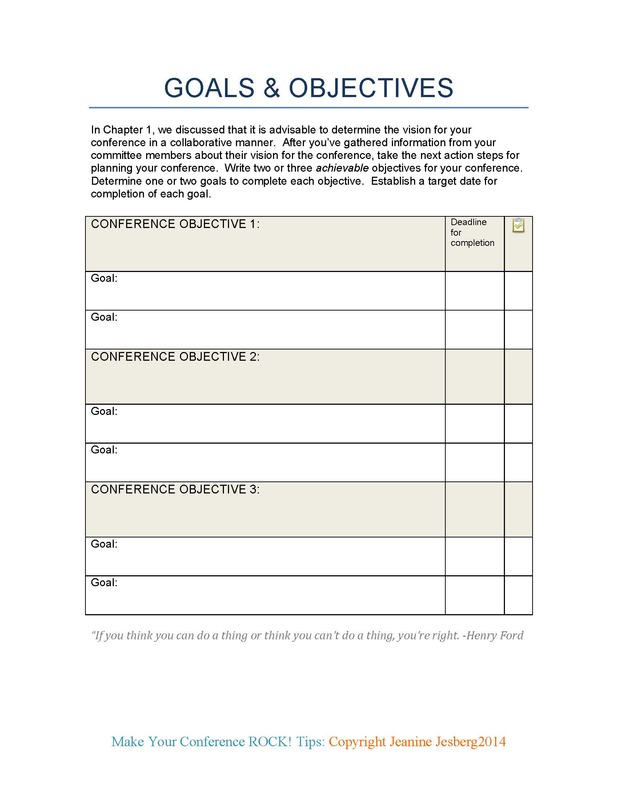 Identify the goals and objectives you want to achieve with your conference.